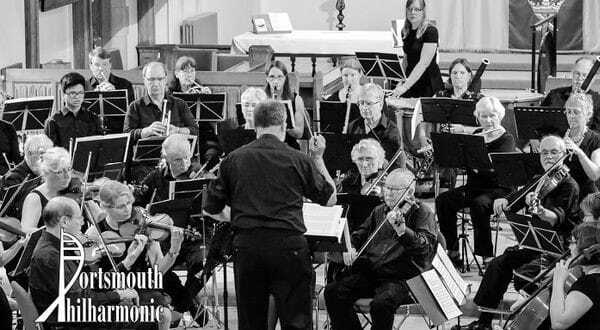 The Portsmouth Philharmonic Orchestra staged a concert featuring music from Bizet, Strauss, Greig and Schubert at the Church of the Resurrection, Drayton on Sunday 9 December. The concert was in aid of Tonic: Music for Mental Health, which is based in the city and uses music to encourage people to come to terms with mental health issues they are facing. Supported by the Lord Mayor of Portsmouth, Cllr Lee Mason, who attended the concert, the orchestra performed Schubert’s Rosamunde Overture, Strauss’s Serenade in Eb Major and Grieg’s Peer Gynt Suite No 1 in the first half. The second half was devoted to Bizet’s Symphony in C Major, with a Christmas-themed encore to close the event. Steph Langan, the founder of the charity, said: “It was an amazing concert, which at times made the hairs on the back of my neck stand on end. They are truly a great orchestra. Its next concert is on Saturday March 16 at 7.30pm in the David Russell Theatre at Portsmouth Grammar School and will feature music by Haydn and Vaughan Williams.